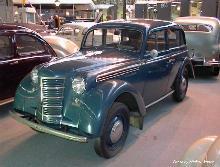 Moskvich, meaning "Son of Moscow" started building cars in 1947 using pre-war Opel Kadett tooling which had been seized in East Germany. 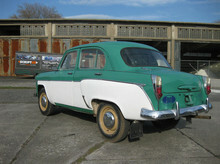 By 1956 Moskvich had started to design and build its own cars and started selling its 407 model in Europe from 1958. 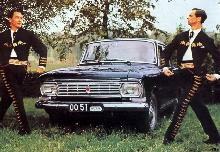 Often the subject of many jokes the Moskvich offered quirky and basic transport for the budget conscious, cars were sold here in the UK until the mid 1970's.